For years, Google alerted the world about the coming shift to mobile-first. This arrived in 2015 when mobile searches overtook desktop for the first time. And the Internet giant demonstrated its conviction about the future when it announced in November last year it would be shifting to mobile-first indexing in 2017. However, despite all the warnings from not just Google, but almost the entire related tech and software industry, most businesses still fail to take the mobile paradigm shift seriously. This includes taking care of the basics, such as optimising mobile landing pages, leading to sub-optimal results in converting customers. Software company Adobe says that engaging customers online and optimising their digital experience can mean millions in revenue for companies. However, the results of a survey they conducted recently clearly showed that optimisation still isn’t considered a priority, with a majority of the 1,800 companies surveyed reporting they spent less than 5 percent of their marketing budget on this key activity. However, those companies who spent more than 25 percent of their budget on optimisation were twice as likely to enjoy high conversion rates. 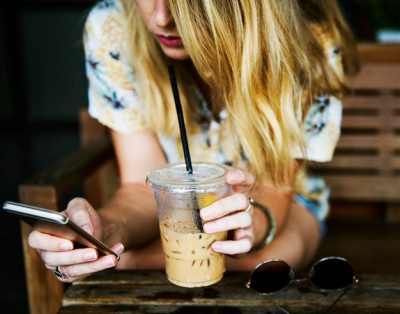 This is supported by the results of another survey, by IAcquire and SurveyMonkey, which found that 70 percent of mobile searches result in action in just one hour, and 40 percent of users will choose another result if their first choice isn’t mobile friendly. “Your visitors know they have choices, so they wouldn’t hesitate bouncing from your website if it doesn’t provide them with a pleasant and useful experience,” the commentary explained. Optimisation strategist Talia Wolf says you only have one chance to make a first impression. This is even more true when it comes to smartphone landing pages. At the most basic level, a landing page is the first interaction a customer will have with your website. Getting that first impression right is critical. And at the heart of any optimisation strategy lies the customer. There are some critical elements that need to be understood before you enter into the design, build and optimisation of your mobile landing page. These include understanding where in the sales funnel, or buying cycle, your customer is, which in turn will define your objectives. Entrepreneur and web guru, Neil Patel, suggests performing an analysis on the keywords your audience is using to find you. This will give you an idea of your user’s current stage in the buying cycle. Also, use UTM tracking codes to identify which channels are driving traffic to the page. Hint: SMS is a great one! For example, I have run campaigns for music labels where the objective has been the number of SoundCloud plays. When understanding the customer in this case, it was clear that people simply do not listen to new music over 3G and 4G networks because data is prohibitively expensive. Following this same insight, an online customer is unlikely to buy a $2,000 lounge suite on a mobile device, or sign up for a 24-month SaaS subscription. Once you’ve defined your objectives and put your customer at the heart of the experience you want to deliver, you then need to consider where the user is likely to be when they visit your smartphone landing page. On the train? In-store? On the couch at home? In a restaurant, or in a nightclub? These are important considerations, which will help you define how best to implement your optimisation. Because the real estate on a mobile landing page is so constrained, it’s absolutely essential to make sure that you optimise every aspect of the design, content and software that it’s built from, to maximise your mobile CTR. Here are some great mobile landing page optimisation tips to help you get a handle on this under-utilised customer conversion tool. You need to rock your audience’s world in 2 seconds. 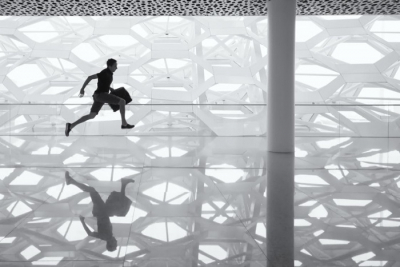 43 percent of users are unlikely to return to a slow-loading landing page and 85 percent of mobile users expect the page to load as fast as, or faster than, a desktop, which takes 2 seconds to load. Google has now even started showing results with a ‘slow to load’ warning label in their search results. That‘s another CTR-killing factor, which needs to be considered in any mobile marketing strategy. Choose the correct image format. Jpeg is generally the best, as it’s supported by most browsers. Png is ok to use, but you need to stay away from Bmps or Tiffs. Use image-editing tools. If your page width is 600 pixels, then crop your images to get them to the appropriate size. Don’t just upload a 1500 pixel picture and set the width parameter to 600. This will help you in reducing the file size and simultaneously improve the user experience. Compress images. You get some great free plugins, like WP Smush on WordPress, which works well without affecting image quality. Pages should ideally be less than 20kb in total and load in under 2 seconds. Growth Marketing Advisor, Angie Schottmuller, says you need to ensure your content is available and visible for mobile devices. Flash, frames and numerous plug-ins are not accessible for mobile. Update your site using mobile-friendly alternatives like HTML5, jQuery, or simply newer versions of your existing plug-ins. Depending upon the verbosity of your traditional landing page, there's a good chance you'll need to cut copy in half for mobile optimisation. Screen size varies, so reduction of traditional content quantity might be about 65 percent for tablets and 35 percent for smartphones. In other words, trim six-word headings to three or four, and trim five bullets to two or three. Mobile headings are ideally only 3-4 words. It's still important to sell the content. Leverage creative copywriting and consider visualising benefits as icons to replace or reduce the copy. Every single word and visual should add value or get cut. Also, try reducing the use of filler and loose words like ‘very’ or ‘best’. It’s easy to make claims online, but unless you substantiate them, your potential customers may not believe what you’re saying. Instead, be specific and use data to establish your expertise. For example, show the number of customers you’ve served and the wonderful experience they’ve had. It sounds more meaningful and convincing. Users should be able to read the page without zooming. And Google recommends an arm's length as a legibility guide for mobile. A simple colour palette, strong contrast between text and backgrounds, and adequate negative space between elements also play a large part in legibility. Small, compact content is challenging to click on mobiles. All actionable targets should be easily clickable without zooming. Also, create pages that fit within the boundaries of a mobile screen that eliminate the need to scroll. This should apply to both landscape and portrait modes. 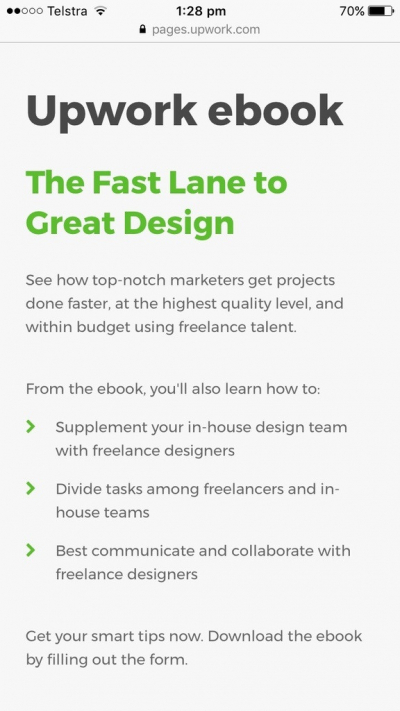 This landing page from Upwork is a great example. They make the reading experience convenient by offering breathing space. They force you (the business owner) to very specifically address your customer’s pain points. The mistake businesses make when using bullets is conveying features. Remember your visitors skim content (especially on mobile). They don’t want to read what your product has to offer. Just tell them how it impacts their life. Also make sure your navigation menu is either out of the way altogether, or functions well. Many sites have poor mobile menus that are too small and hard to click. The top mobile user action for both SEO and PPC web traffic is making a phone call, so ensure your full phone number is visible at the top of the page. According to the 2011 Google Mobile Movement Study, 61 percent of mobile users call after a local business search. Users should be able to tap or click the phone number to initiate a call, so enable click-to-call functionality by making the number a hyperlink and include a call-to-action in the link text. Make sure to set up your phone tracking to monitor incoming calls before launch. A mobile user's geolocation can easily be determined based on their IP address without the user explicitly disclosing their location. GPS-enabled devices allow for specific, localised content that can reduce friction and increase conversions. 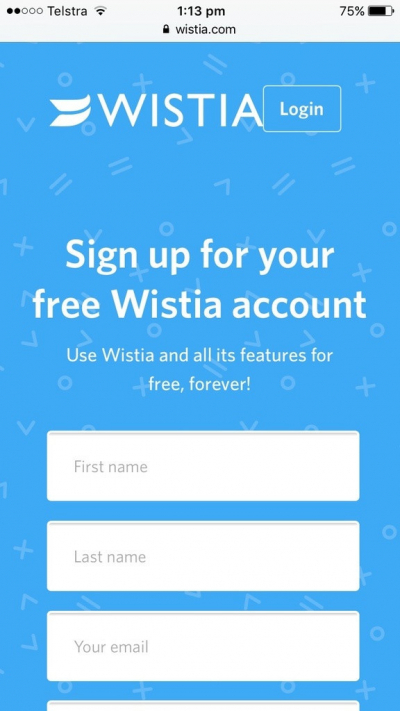 Mobile landing page forms should be extremely short just like this one from Wistia. Target four or less fields (1-2 is ideal) anticipating each additional field to potentially reduce conversion by 50 percent. Don't include non-required fields unless it's being collected post-conversion. Only show fields imperative for urgent data collection, and evaluate options to otherwise capture or compute data at a later time. The key is to get users to submit the minimum lead data (like name and email) necessary for you to respond. If you can’t compromise on your number of fields, then at least allow for autocomplete. Don’t intimidate the user. Adopt an essentialist mindset and solicit only your customer’s email (or the most necessary info). Eliminate the space between form fields. This way, the form will appear shorter and the user won’t need to make the conscious decision of scrolling down to entering his or her data. Encourage completion by using error messages that clearly indicate the mistake committed by the user. But, the message should also encourage the user to try filling in the form again. Putting clickable links, images, buttons and fields too close together is a sin. Remember that you’re designing for the touch (thumb) and not a mouse click. So, if your fingers are landing in between your form on mobile, then you need to redesign it. The thumb plays a vital role in the touch interaction with the user. Always consider putting your form fields and buttons in those areas where it’s comfortable to reach. Also, make sure you use the proper keyboard for each form field. When a visitor needs to insert a number or an email, they should be able to do so quickly without changing their keyboard output. A visitor should be able to identify what’s in it for them quickly, without needing to read complicated text and stories. 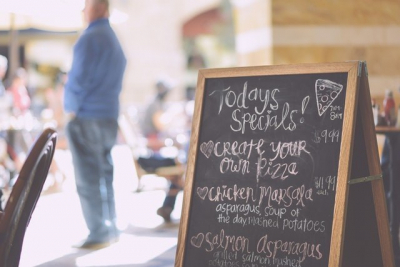 Make sure you have your value proposition at the top of the page just as Autopilot has here. Your headline and call to action should be above the fold (what visitors see when the land on the page) and give your visitor the information they need quickly. The purpose of your mobile landing page should be obvious, compelling and readily visible as an action. To optimise landing page conversion, limit the number of ‘actions’ to three or less for mobile. On mobile, persuading your customer to take just the one action requires considerable effort, let alone two. Every image, word, action button and other element on your landing page should contribute towards your primary conversion goal. Design one large call to action button (comfortably clickable by thumb) with compelling copy. The CTA button needs a contrasting color scheme with the page surrounding. Design your form in isolation. That makes sense because in the limited space on mobile your headline, sub-headline and CTA won’t necessarily appear simultaneously. If you absolutely need two CTAs, then keep the primary conversion goal action at the top of the page. You can also test a phone number as a call to action, preferably by placing the phone number at the top of the page. Since your users are on a mobile device, dialing a number with a single tap is convenient. 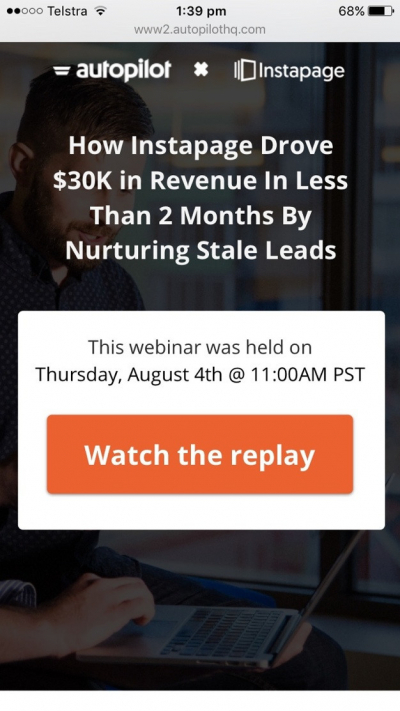 Also, phone calls are high-quality leads that can convert even better than your online leads. It’s essential to test various combinations, including A/B testing. Don’t be afraid to run significant variation changes – this is the only way to get significant lifts in smartphone CTR and conversion. In conclusion, start with putting yourself in the customer's shoes. Their expectations of the mobile experience are high and it must rival that of an installed smartphone app – anything less will result in lost conversions. It’s not rocket science, but it requires thought, conviction and action!